This cafeteria offers no thrills or frills, and that is exactly why it's worth writing about. Despite the menu having more entries than the Oxford Dictionary, the staff still manages to deliver even the weirdest order in a flash. The food is delicious - in an uncomplicated kind of way. The perfect place to get your cheeks full of greasy fries and steamy falafels and shawarmas after a boozy night out. MenuPages.ae recommends: Hassan mattar and Hello Juice. Good to know: Al Ijaza Cafeteria is in action every day until 3AM. 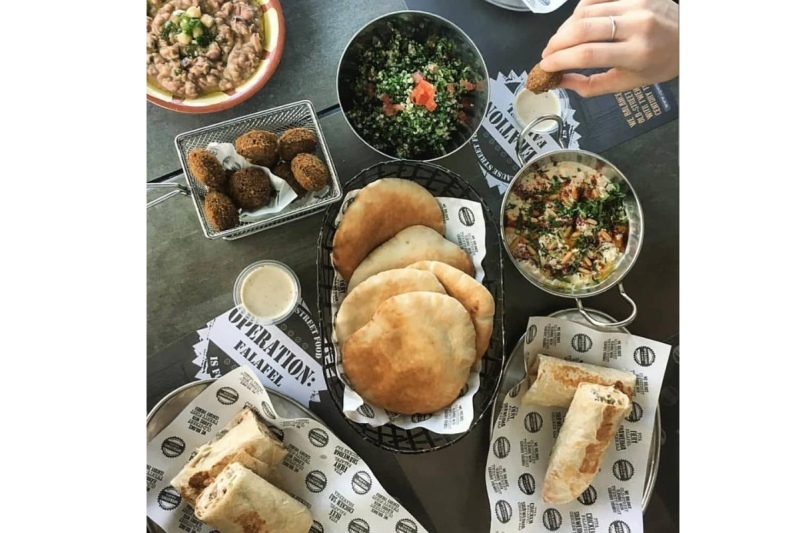 On a mission to revive the spirit of authentic Middle Eastern street food, Operation: Falafel serves up Arabic classics that can compete with your grandmother's traditional recipes. Here, the pita breads always piping hot, the falafels are crunchy on the outside and moist on the inside and the tahini dressing's always velvety. If nostalgia punches you in the face after a wild night out with the gang, hit up Operation: Falafel for a culinary trip down memory lane. While the falafel is its poster kid, the menu also features shawarma, hummus, manakeesh and other regional favorites. Good to know: Majority of their branches are open 24/7. A good tip to remember when insomnia strikes. Craving a burger and fries at 3AM? Dubai's bursting over with eateries that will serve that up to you in the click of a finger. Craving scrambled eggs and bacon at 3AM? Now that's another story. 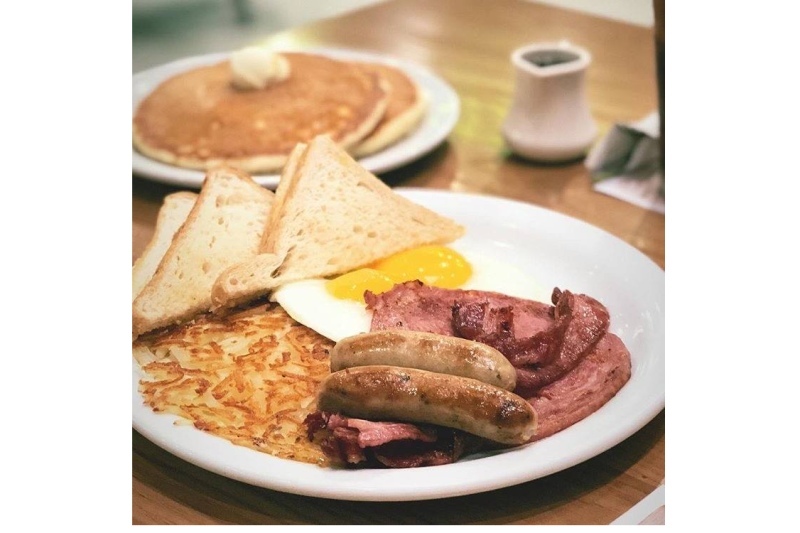 Luckily, here comes Denny's to the rescue with its all-day breakfast. And that includes all night, too. If you're a "breakfast for dinner" kind of person, slip into your pajamas and knock on Denny's door. If you're cramming over a test or work presentation all night, wet your whistle with the diner's bottomless coffee and feel the inspiration come trickling in. MenuPages.ae recommends: The All American Slam and caramel apple split. Good to know: Attention all night owls, Denny's doors are open 24/7! Al Mallah makes an impression before you've even tasted its food, with its buzzing ambiance and luminous neon sign. 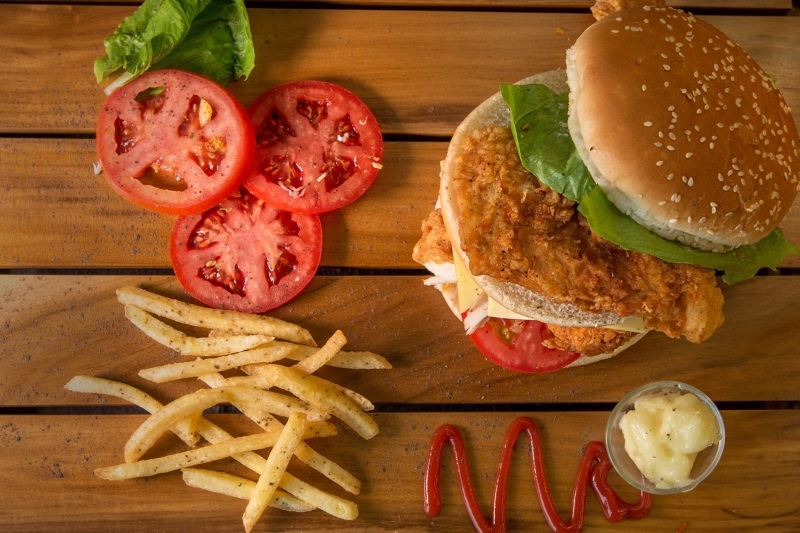 This eatery has made its mark on Dubai's retro dining scene by dishing out reliably delicious fare until the wee hours of the morning. Al Mallah can take care of you even if you've maxed out your credit card at the bar, with wholesome wraps starting at five dirhams. 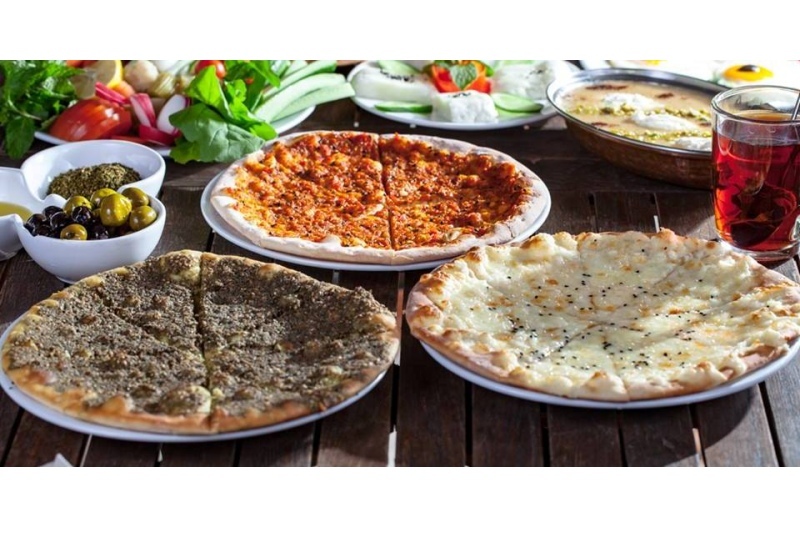 MenuPages.ae recommends: Manakeesh, Al Mallah special juice, and hummus Beiruti. 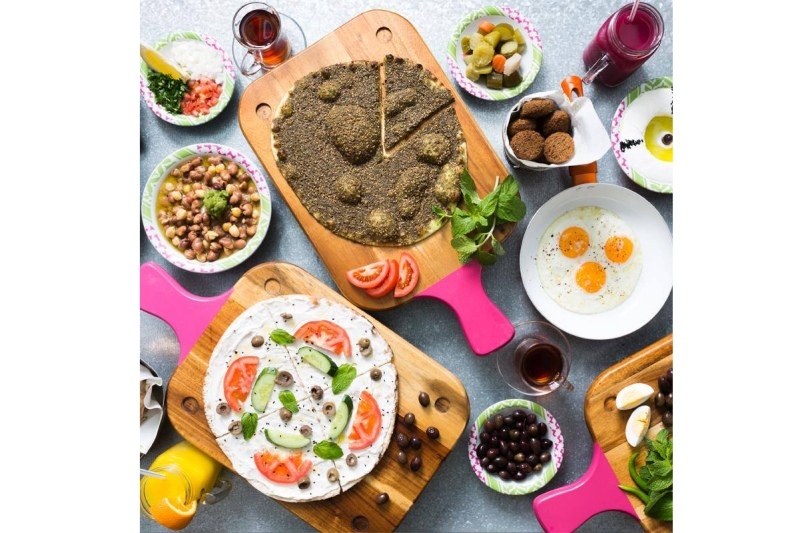 Good to know: Al Mallah Cafeteria serves up groovy Lebanese grub from 6AM to 2:30 AM. Al Reef Bakery is an eatery frozen in time. With interiors that haven't aged since the early 2000s, it would make the perfect venue for a Wes Anderson film. Al Reef's tiled walls are accented with fading Arabic calligraphy and its display cases crowded with iced Barbie doll cakes. Behind the counter, a cute window reveals the inner workings of a sterile kitchen. A roaring fire in the distance bakes your manakeesh just the way you like it, make sure you wash it down with Arayes. MenuPages.ae recommends: Manakeesh with spicy tomato spread and gooey cheese. Good to know: Roll in whenever you like – the bakery's open 24/7. Literally translated, Zaroob is a small alley. The eatery's live cooking stations hint at the street vendor experience in the Levant region. The menu is flooded with zesty Middle Eastern street food – it's often tempting to order everything off the menu. The eatery is furnished with nostalgic hints from every Middle Eastern kid's childhood – bottles of Vimto huddled in a corner, giant tubs of olive oil recycled into plush seats, fruit flamboyantly showcased at the juice bar, and more. Plunge into Middle Eastern culture and cuisine at Zaroob, and pick up some interior décor tips too! MenuPages.ae recommends: Beef Shawarma, koshari, Palestinian fatteh and the Banana Nutella Fateer. Good to know: True to Middle Eastern culture, Zaroob is perfect for night owls. Open 24/7. Al Shorfa is a favorite among many people in Dubai Marina and Jumeirah. 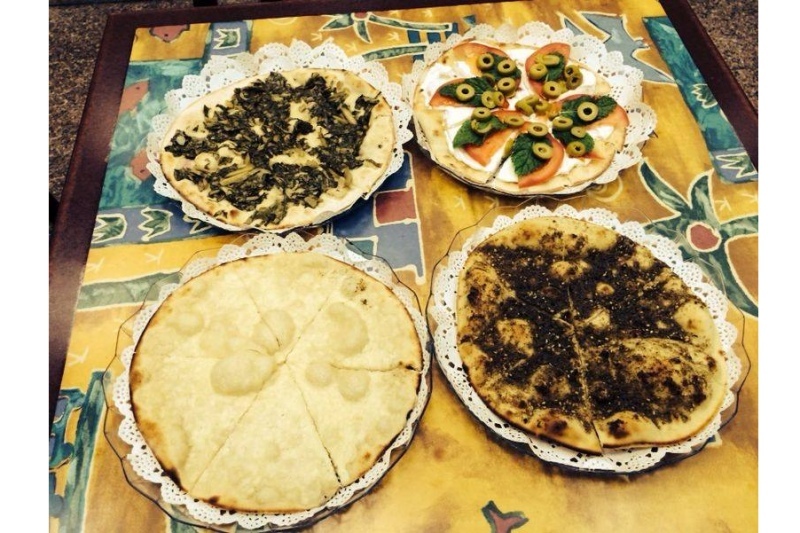 It specializes in Syrian Halabi ancient cuisine along with a range of Arabic and Lebanese dishes served. The staff is super attentive and shisha service is top notch. With a lot of outdoor space, you surely will have the change to sit outside if weather permits. 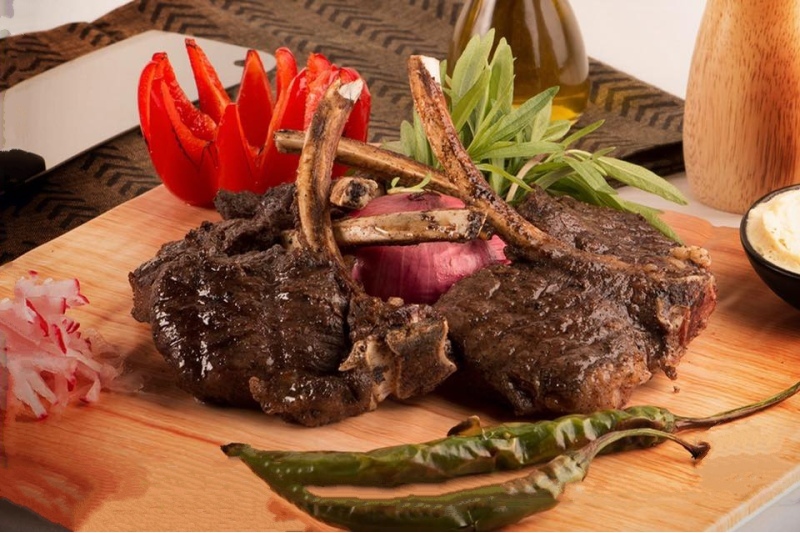 MenuPages.ae recommends: Al Shorfa Mixed Grill and Lamb chops. Good to know: Craving a late night shisha under the stars? Al Shorfa is open 24/7. A pub crawl in Dubai isn't truly complete without greasing up your face with a mouthful of Arabic street food. 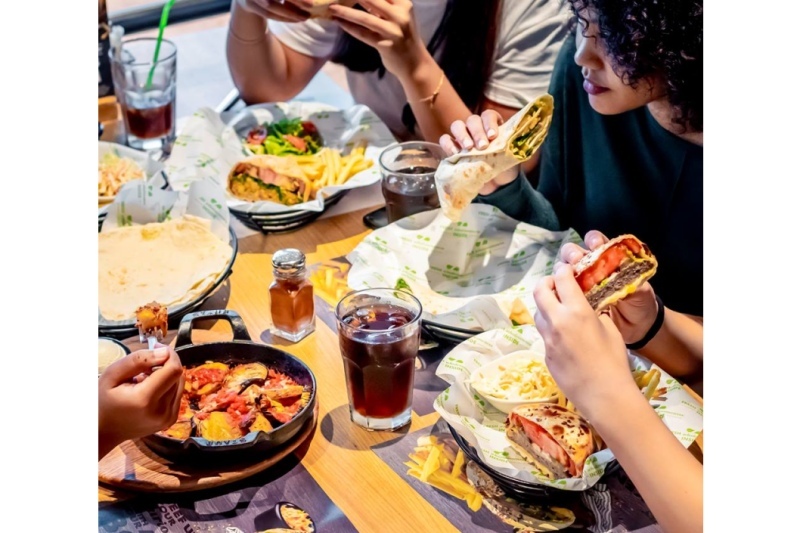 Zaatar W Zeit's menu has mastered the simple flavors that make every drunk diner's eyes roll to the back of their head. Pick anything from the menu, and it's guaranteed to be delish! Pro tip: Just make sure it's got cheese, zaatar, potatoes, and bread somewhere in it. MenuPages.ae recommends: Chicken tandoori wrap, shakshouka in a pan, and halloumi sticks. 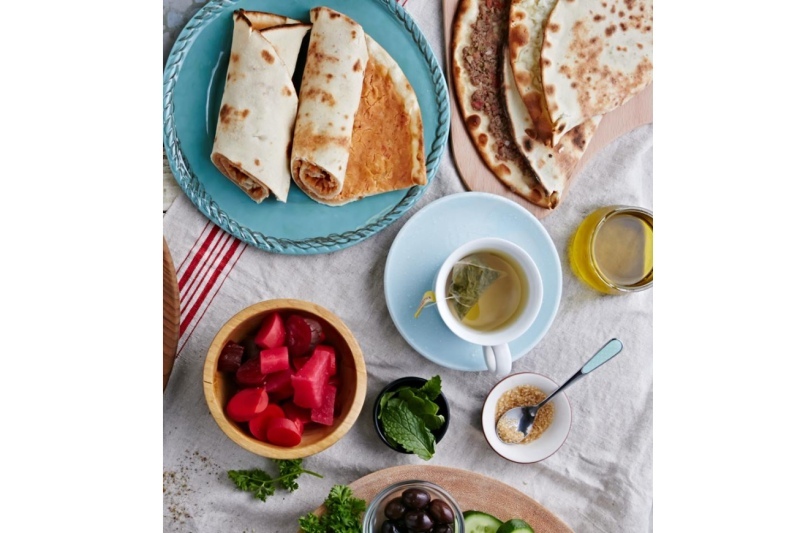 Good to know: Like its neighborhood cousins, Zaatar W Zeit is open for service 24/7. Jabal Al Noor is another one of those classic hole-in-the-wall cafeterias that serve up killer midnight munchies and power-packed juices. The cafeteria's ambiance is always buzzing with energy and despite what feels like a hectic environment, they never get your order wrong. 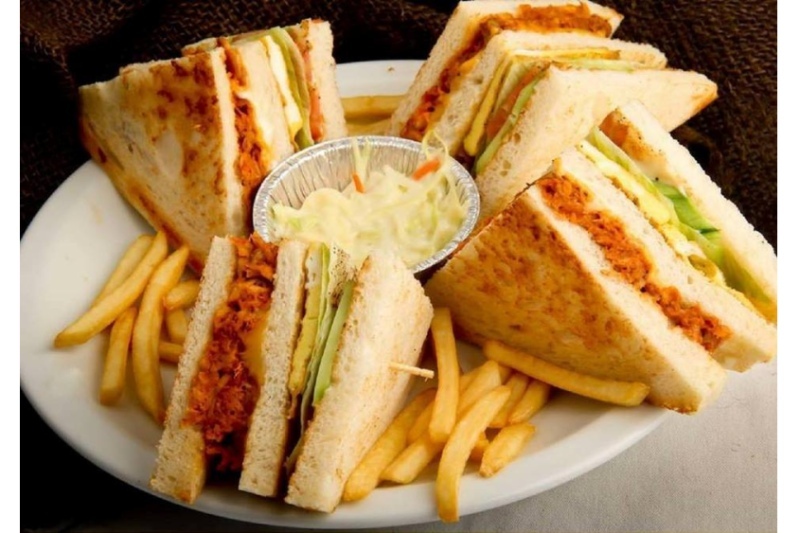 Carbs is the name of the game here, so line your stomach up everything from monster club sandwiches to stuffed parotta wraps. If gluten is your arch nemesis, opt for the fried shrimp plate instead. For bonus carb points, order a heaping helping of the fried potato platter! Extra ketchup, of course. MenuPages.ae recommends: Spicy shrimps, Veggie Burger Special, and the fig milkshake. Good to know: The cafeteria isn't open all night, and wraps up business at 3AM. A common mistake all of us have make is spending all our change at the bar in tips. Make sure you have physical cash in your pocket or you'll have to go hungry at Al Shami. It doesn't accept cards, and takes the old school route when it comes to payment. This humble little eatery is renowned for the way its freshly baked pitas and manakeeshes hit the right spot. Browse the menu and order anything that sounds creamy, greasy, and garlicky. You'll thank yourself in the morning. MenuPages.ae recommends: Cheese manakeesh fresh from the oven and Mandi chicken. Good to know: Al Shami's doors are open from 7AM all the way until 4AM, everyday. 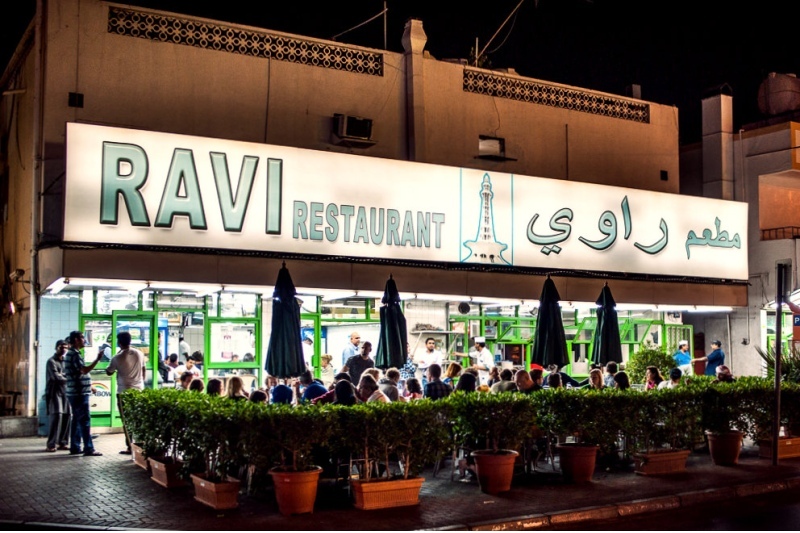 Ravi's Restaurant is every old school Dubai expat's best friend. Time capsules from the 2000s will be crammed with washed out photographs of smiling faces and Ravi's iconic neon sign. Furnished with mismatched plastic chairs and metal tables, Ravi's is all about the food. In a city where Middle Eastern grub is king, this restaurant has not only managed to slice through the competition and bring attention to Pakistani cuisine; it's also made its country's food a drunken night favorite. MenuPages.ae recommends: The chicken jalfrezi, keema fry with parotta, and kheer. Good to know: The bustling restaurant runs from 5AM to 3AM. In 2015, a restaurant opened in Business Bay with a concept of "Lebanese cuisine fusion" called Zahr el Rouman. A cozy 2 floors venue and a lovely terrace seating serving super delicious Lebanese dishes and amazing shisha service make this place a top destination for chilling time. We have even spotted people dancing late into the night on Thursdays. 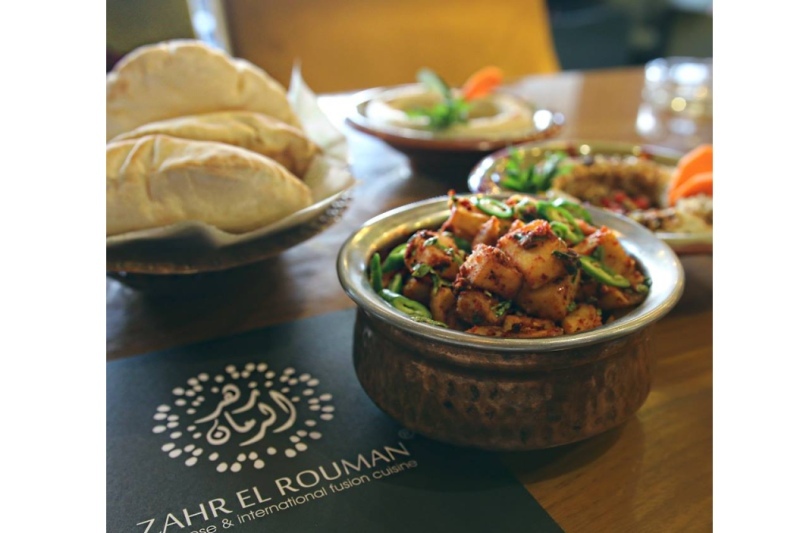 Good to know: True to Lebanese culture, Zahr El Rouman is perfect for night owls open until 5:30 AM. Broccoli Pizza & pasta offers freshly prepared Italian food and personalized meals for a health- conscious community. 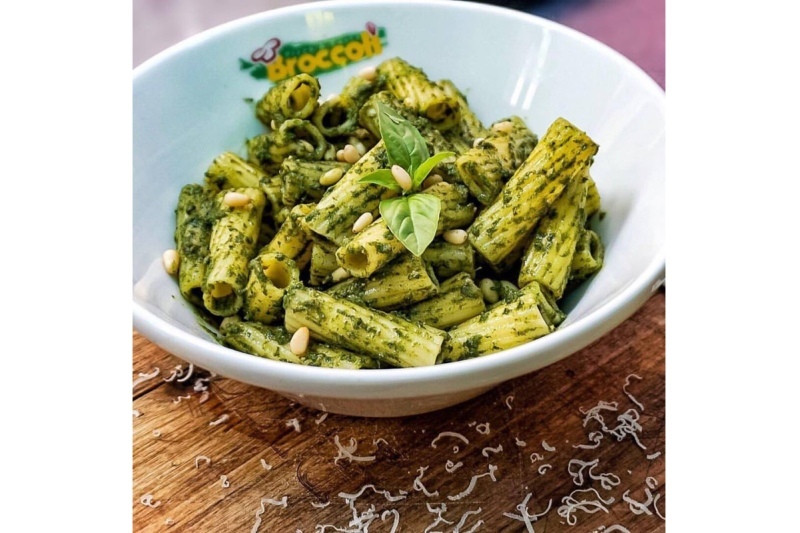 A big part of the fun and satisfaction of the Broccoli experience derives from ordering your own personalized meal and seeing it cooked in front of you by their friendly and professional staff. MenuPages.ae recommends: Pesto pasta and broccoli chicken pizza. Good to know: Roll in whenever you like – the Broccoli Pizza & Pasta is open 24/7. It started in the humble village homes of loving mothers preparing breakfast for their children, something to eat on their way to school. That is the story of how the man’oushe tradition began. 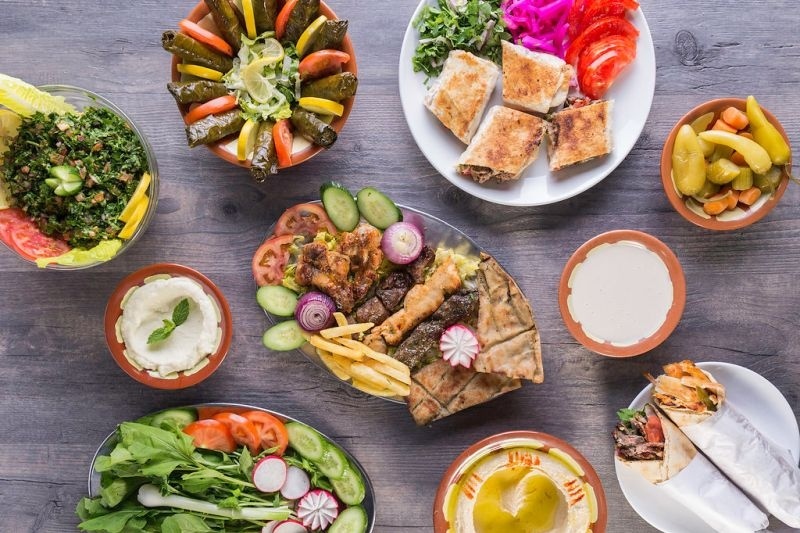 What started as homemade food eventually reached the bustling street corner bakeries, making the man’oushe available to all, and a staple authentic Lebanese food, to be enjoyed at any time of the day. MenuPages.ae recommends: Lahmeh bi a’jine ‘n’ cheese manakeesh, Kafta lita with hummus wrap, Kaak Picon cheese and Cheesecake. Good to know: Man’oushe Street is open for business around the clock, seven days a week. The entire cafe is based on, as the name suggests "Garage". 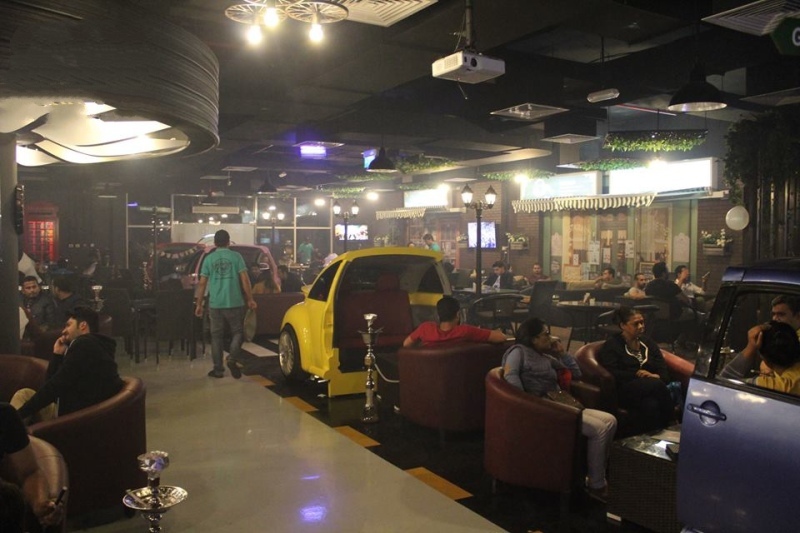 Garage Café offers 100+ flavors of shisha to choose from. The café menu consists desi staples, heartily served by the team. With loads of shisha flavors to choose from, and a vibrant atmosphere, your night won’t end too soon! MenuPages.ae recommends: Masala Fries, Schezuan Noodles, Pot of Thunder Shisha and Mexican Sunrise Mocktail. If a night of drinking leaves you craving fresh bread, but manakeesh isn't your style, La Farine will sort you out. 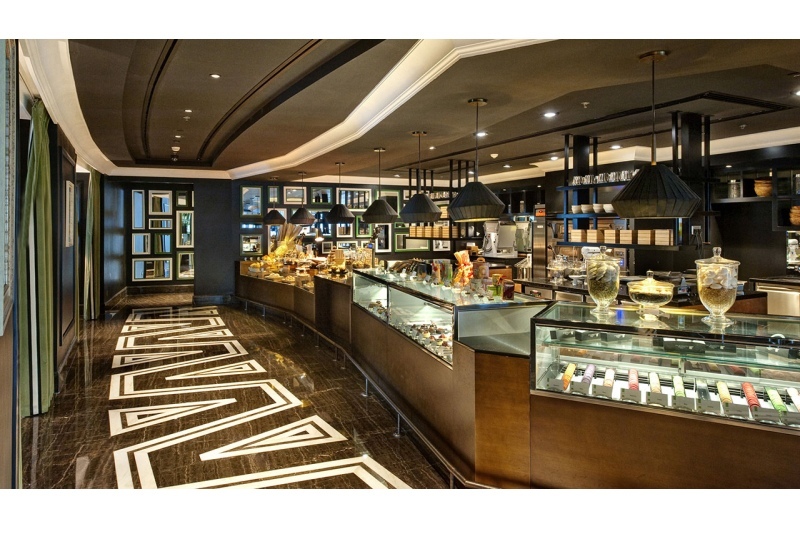 The boulangerie and café serves up authentic French cuisine that will woo even the tipsiest of diners. La Farine's noteworthy food earned it the Best French Restaurant award from What's On. Hinting at the fact that it’s open 24/7, the restaurant is dotted with 247 mirrors. If water isn't sobering you up, the challenge of counting all these mirrors sure will. MenuPages.ae recommends: The cassolette d'escargots and Croque Madame. Good to know: La Farine is open for business around the clock, seven days a week.